Hardly a few months ago, Mercedes Benz India had rolled out the Cabriolet variant of its E-Class saloon in the country. Now again, they have launched its 2016 version with a few additional equipments. In its journey since the inception, this saloon has received several updates in terms of exteriors, interiors, comfort features and technical specifications. This Mercedes-Benz E-Class E250 CDI Avantgarde trim comes with a few additional features like new a Telematics multimedia system, the Garmin MAP PILOT navigation and a reverse camera. This variant is fitted with the same 2.2-litre, in-line diesel engine, which comes with a displacement capacity of 2143cc. Its braking and suspension mechanism are quite proficient, which keeps it well balanced and stable at all times. It is also incorporated with an electronic stability control program and acceleration skid control function that enhances the agility of this vehicle by reduces the loss of traction. This vehicle looks extremely stylish from all the facets owing to its sleek body structure complimented by its dynamic cosmetics. It has several radiant exterior features like bi-xenon headlamps along with horizontally designed LED taillights and chrome accents, which further enhances its majestic stance. Not only this, the space inside this saloon is ample that can provide comfortable seating to five occupants, while offering huge space for luggage storage. This saloon is competing against the likes of BMW 7 Series, Jaguar XJ, Audi S6 and others in this luxury segment. Like all the Mercedes Benz models, this saloon series also available with an attractive warranty of three years without any limitation to its mileage. Furthermore, with the help of 'Star Care Plus' program, the warranty can be extended to another year, which will help to enhance the resale value. The company has not made any modifications to its exteriors and is fitted with the same sensationalistic cosmetics. It has an attractive radiator grille with a lot of chrome treatment with a company badge affixed in the center. This is surrounded by a trendy headlight cluster powered by bi-xenon headlamps and signature LED day time running lights. The bumper is quite wide featuring bigger air intake consoles that provides better ventilation for engine cooling. Its large windscreen is made of laminated glass and integrated with a set of rain sensing wipers. Its sleek and lustrous side profile features a lot of character lines. The wheel arches are beautifully carved and equipped with a sturdy set of alloy wheels. These rims are further covered with high performance tubeless radial tyres that offers superior road grip. The wing mirror caps along with door handles are painted in body color, whereas the door sills and B pillars are treated in high gloss black. Its outside rear view mirrors are electrically foldable and comes with memory function as well. Furthermore, this variant also gets chrome plated waistline molding that further enhances its majestic stance. Its rear facet has a sophisticated look, thanks to its horizontally designed LED brake lights and turn indicators. Its boot lid is fitted with a chrome garnished strip along with the iconic company’s star. This variant has a spacious internal cabin incorporated with a lot of sophisticated features. Its dashboard and door panels are designed in black ash wood inserts. All the seats inside are quite luxurious, as they are ergonomically designed and can provide excellent support all the way from thighs to head. Both its front seats are electrically adjustable wherein, its driver's seat has three programmable memory setting. The manufacturer has made use of premium ARTICO man made upholstery for covering the seats, steering wheel and gearshift box that gives the cabin a classy look. The cockpit has a nicely designed dashboard furnished with aspects like an AC unit, an advanced instrument cluster with several functions and other such aspects. Its rear cabin is fitted with a bench seat featuring split folding facility that improves storage capacity. All control switches are placed well within the reach of driver, which makes it easy to access them. This trim is equipped with a 2.2-litre, diesel engine that has a turbocharger. It is integrated with four cylinders along with sixteen valves and has the capacity to displace 2143cc. It is capable of producing a whopping power of 201.1bhp at 4200rpm in combination with a pounding torque of 500Nm between 1600 to 1800rpm. This motor is cleverly mated with a 7G-tronic plus automatic transmission gear box. It is integrated with latest common rail based direct injection technology, which allows the vehicle to deliver mileage in the range of 12 to 16 Kmpl. This variant can reach a top speed of 242 Kmph and can accelerate from 0 to 100 Kmph speed mark in 7.9 seconds from a standstill. The automaker has fitted its rear wheels with a set of solid disc brakes, while front rims have been equipped with a robust set of ventilated discs brakes. This braking mechanism is further augmented by anti-lock braking system that works in collaboration with brake assist function to provide a skid free driving experience. 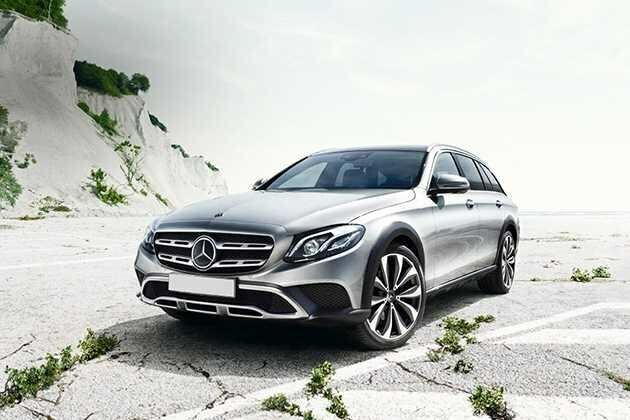 This saloon is also incorporated with an electronic stability control program and acceleration skid control function that enhances the agility of this vehicle by reduces the loss of traction. In terms of suspension, it gets a sophisticated direct control suspension system featuring selective damping system on both its axles. It has a responsive power steering system, which is speed sensitive. The manufacturer is offering this variant with an advanced ECO start/stop system, auto dimming effect for interior mirror including driver's side wing mirror and three programmable memory setting for steering and ORVMs. The car maker has also incorporated a THERMOTRONIC 3-zone automatic climate control unit including separate air vents for rear passengers. Its advanced instrument cluster provides informatics like outside temperature, trip computer, fuel consumption, fuel gauge, distance traveled, vehicle speed, gearshift position, tachometer, driver’s seat belt warning and a few other notification lamps for keeping the driver updated. It also has an Audio 20 CD multimedia system featuring a high resolution display. This music system can be operated conveniently with the help of switches located on the steering wheel and on central console. It also has Telematics multimedia system, the Garmin MAP PILOT navigation and a reverse camera. The manufacturer has bestowed this trim with several restraint and active safety aspects, which offers an unparalleled protection to the occupants inside. It has an advanced security and locking function including programmable key with remote control opening and closing of windows. It features restraint systems like airbags, seat belts with belt tensioner, seat occupancy recognition for front passenger seat and three stage impact protection front crash. In addition to these, it also has NECK-PRO crash responsive head restraints for front seats along with ISOFIX child seat mountings. 1. Lustrous external appearance is its main advantage. 2. Safety features are at par with other saloons. 1. Massager seats can be given as a standard feature. 2. Lower ground clearance of 120mm is a big drawback.